1) Somaliland waxay ahayd dal gaar ah, oo xornimadiisii ka qaatay 26 June, 1960-kii Dawladdii Ingiriiska. Waxaannu ku biirnay lana midawnay 1-dii July, dalkii Soomaaliya oo Talyaanigu gumaysan jiray. 2) Shacbiga Somaliland waxay si cad u diideen June, 1961-kii, aftidii loo qaaday dastuurkii cusbaa ee loo sameeyey dalkii lagu midoobay ee la magac baxay Jamhuuriyaddii Soomaaliya, oo haatan meesha ka baxday. 3) Muddo yar ka dib, markii Shacbiga Somaliland garwaaqsadeen inay ku hungoobeen midnimadii, waxay Saraakiishii ka soo jeeday Gobollada Waqooyi sameeyeen December, 1961-kii inqilaab dhicisoobay, kaas oo ujeeddadiisu ahayd inay dib u soo celiyaan Xornimadii Somaliland ee luntay. 4) Somaliland rubuc qarnigii u danbeeyey kama qayb qaadan shirarkii kala duwanaa ee dib u heshiisiinta Soomaaliya marnaba. 5) Somaliland waxay xornimadeedii la soo noqotay 18-kii May 1991-kii, ka dib markii ay Salaadiinta, Garaadada iyo Wax-garadka Beelaha Waqooyi shir isugu yimaadeen Magaalada Burco go’aan midaysanna ay ku gaadheen in madax bannaanidoodii ay dib ula soo noqdaan. 6) Shacbiga Somaliland waxay bishii May, 2001-dii kalsooni cod buuxa %97 ku taageereen aftidii loo qaaday dastuurka cusub ee Jamhuriyadda Somaliland iyo Qadiyadda Gooni-isu-taaga dalka. Tahribi, the Arabic word for “smuggle” has come to mean illegal emigration in Somali, where the flood of young people attempting to leave for Europe is considered a national disaster. This is according to a recent blog post by Nino-ilhan Ali, a doctoral researcher studying Somaliland at the School of Oriental and African Studies. According to Ali, one common assumption about refugee source countries like Somaliland is that families encourage emigration as a way to broaden their sources of income. But in Somaliland, most migrants are young men who leave on their own without their family’s approval or knowledge.Smugglers transporting these migrants often demand ransoms and other expenses from the family later. According to Ali’s research, families in Somaliland spend on average about $7,661 on tahriib-related costs, a difficult expense to shoulder in a state where the GDP per capita is just $348 a year, the fourth lowest in the world. The smugglers sometimes demand ransoms from the families as they hold their son hostage. People and Power goes on the trail of a Somali army commander accused of involvement in mass killings and war crimes. To much of the world, Somalia has a fearsome reputation. It is seen as one of the most dangerous places on the planet – a failed state that is widely believed to be home to warlords, pirates and terrorists. But in the north of the country, at least, the reality is different. 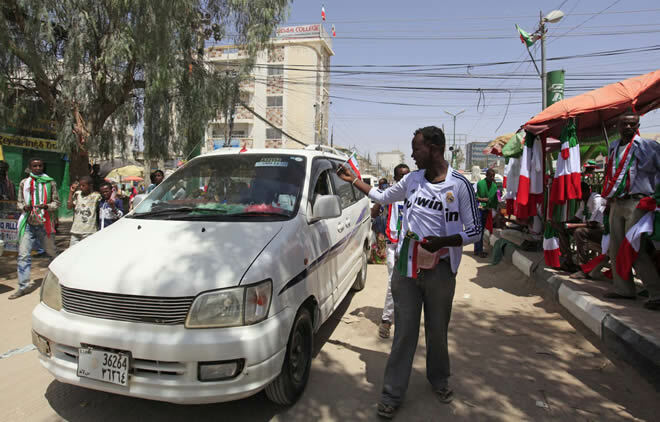 Somaliland is an autonomous enclave with its own flourishing capital city, Hargeisa. Though a long way off from receiving international recognition as an independent state, it is a haven of peace and stability when compared with the rest of Somalia. But Somaliland has its dark side. Within living memory its citizens fell victim to the most savage of state-sponsored atrocities. General Siad Barre – the ruthless dictator who ruled Somalia from 1969 to 1991 – went to war with the clans who inhabited the area. Believing them to be supporting a rebellion against his regime, he took revenge by sending in his army with a mandate to “kill all but the crows”. The city of Hargeisa was virtually destroyed during intense and pitiless bombardment. Many thousands of people were killed or driven into exile. Barre’s soldiers, meanwhile, tortured and murdered as many as 50,000 others – most of them civilians – and buried their bodies in mass graves. Now, as those who still live in this region try to secure their future, some feel those past agonies should be re-examined and those responsible held to account. In this exclusive two-part investigation, People and Power meets a community coming to terms with the horrors of the past and joins forces with a group of forensic investigators and human rights activists attempting to bring an alleged war criminal, Yusuf Abdi Ali, also known as Colonel Tukeh, to account. Throughout the process of shooting these two films, every time I met someone affected by violence against the inhabitants of northern Somalia, I couldn’t help but reflect that it could have been me standing in front of the camera offering testimony, that it could have been members of my family wiped out by the Somali military 25 years ago. My parents are from this region of Somalia, today known as Somaliland, and, indeed, from the very clan that was targeted for annihilation by the forces of the dictator Siad Barre. But, growing up in Canada, I had never heard of these mass atrocities – my family sought to insulate me from the horrors which they fled, and never spoke of the violence and murder that had erupted at that time. It was only when I decided to visit my ancestral homeland, as an adult, that I came face to face with the terrible violence that has marked so many lives in this region. It was a chance encounter with Jose Pablo Baraybar, the world-renowned forensic investigator, and local Somali human rights activist Aziz Deria, several members of whose family were murdered and buried in mass graves, that made me realise I had to document the important work they were doing, aimed at uncovering the crimes ordered by Barre’s government and carried out by the Somali military during those dark years. 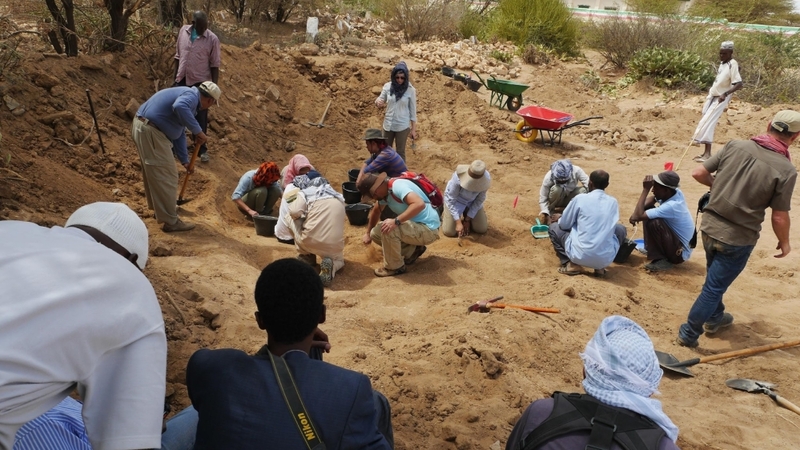 Baraybar’s Peruvian Team of Forensic Anthropologists were attempting to exhume a mass grave where it was believed soldiers had dumped the bodies of local residents they had murdered. The team hoped, with the help of relatives still living in the area, that they might be able to identify the remains and gain evidence to support witness accounts of how these people met their end. I knew immediately that I wanted to bring their work to a wider audience. I hoped that by doing so I might play a part in this effort to examine what it means to attempt reconciliation and closure after so many years. In early 2016, my team and I returned to Somaliland to film the forensic investigation,as well as the effect this work was having on the local community. We were overwhelmed by the willingness of survivors of violent incidents to share their stories – it was like opening Pandora’s box; the silence was broken, and almost every member of the community had a story to tell. Despite the evident willingness of Somalilanders to share their experiences, asking people to tell us about some of their worst days on earth is always a challenge. At times, the camera felt like a new tormentor, interfering with people who had restarted their lives and overcome trauma, while at others we were able to capture their pain unfolding once again, after years spent buried away in the depths of their psyche. We can only hope that this two-part investigation will help spark a healthy and healing dialogue and that, as such, it was worth any pain that was sparked anew during the filmmaking process. By far the prevalent attitude in the Somali community towards the civil war is to forgive and forget. The fact that my parents never told me about the atrocities experienced within our own extended family is testament to this unspoken Somali desire. Nevertheless, this can leave younger generations bereft of the opportunity to learn from past mistakes. Somalis born after the civil war can find themselves feeling this trauma handed down from one generation to another, without being able to fully grasp its cause. This project is an attempt to record those facts and offer commentary on the present forms of justice available to the many thousands of genocide victims. Without an acknowledgement of suffering, there can be no healthy dialogue, no reconciliation and no true acceptance. To move forward once and for all, Somalis must truly address the horrors of the past and move together beyond the artificial boundaries of clan. Waa barnaamij aad iyo aad u xiiso leh. waa mid taariikhiya. bal waxa aad sameeysaa is bar bardhig 1997 oo barnaamijkan la duubay iyo minka 2016. waa muddo ay iminka ka soo wareegaty muddo 20 sanno.